Congratulations on your forthcoming marriage and thank you for considering Kaim Park Hotel as the venue for your special day. The Kaim Park Hotel is set in beautiful secluded gardens, offering a picturesque backdrop for your wedding photography and reception drinks on our terraces and lawn. 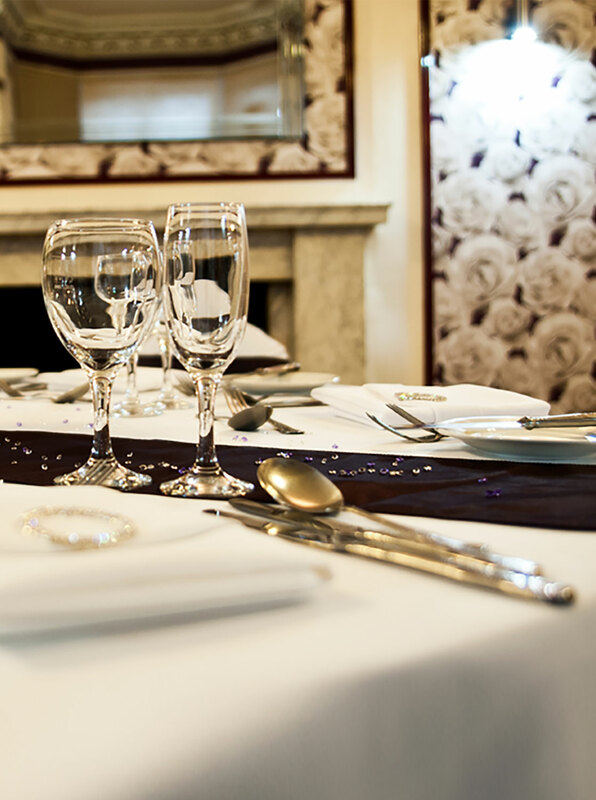 The historic 19th century house offers a gorgeous blend of classic and contemporary style with its elegant interior, setting the scene for a truly memorable day. Every wedding is unique at Kaim Park Hotel and our skilled events coordinator will work with you from your first meeting all the way through to your big day to ensure that your wedding is what you always dreamed it would be. Our skilled chef will ensure that your chosen meal is prepared with care to create a delicious and memorable meal for you and your guests. We offer a wide range of menu options to suit every taste, and our chefs are fully prepared to cater to all dietary requirements. Children’s menus are also available.